(VOXtra) - Entries are now being accepted for the 4th annual Voice Arts® Awards - the international competition for voice actors and content creators, which will announce winners and honor the voice over industry at a glamorous awards gala on November 5 in New York City. Sponsored by the non-profit Society of Voice Arts & Sciences™ (SOVAS), the awards competition features nearly 100 categories for voice actors and related creatives, including specific genres, demos and more. And following tradition at the gala, SOVAS will honor others in the arts, including documentary filmmaker Ken Burns. For competition details and application, please click here. Rudy, now into it's 4th year, is the VAA growing and developing as you had planned? The Voice Arts® Awards is growing faster than I imagined or planned. The value of the award itself, as determined by the extraordinary people who judge the entries, has taken on a life of its own. People appreciate being acknowledged for the effort they put into creating their careers. In some cases we’re talking about a lifetime of work that has never been fully appreciated, yet alone acknowledged with the red carpet gala. Behind the scenes we are absolutely buzzing with planning, negotiations and putting out fires. It would make an interesting reality show. We also present the Voice Arts Icon Award and other special awards, outside of the 90 categories covering most aspects of the industry. It’s impossible to cover them all, but as we grow, my hope is to arrange for a smaller program to capture some of the more esoteric categories. What changes are you experiencing and making along the way? We get talented voice actors looking for categories which fly under the radar, even for the majority of voice actors. We’re looking at ways to incorporate these actors. Also, we’re finding that we have to dig deeper and deeper into integrating sponsors in truly meaningful ways. Everyone understands the concept of sponsorship or underwriting, but it’s very important to all parties that there be a good match between sponsor and audience. This requires fully understanding the value propositions that extend beyond the awards themselves. It’s one thing to work in the voice over industry. It’s an entirely different thing to illuminate the excitement of the voice over industry for a broader audience to understand and enjoy what we do. So we’re seeking to evolve the program as both a special experience for attendees and someone outside of the industry who may be watching on TV or online. How does VAA 2017 differ from last year's competition? The program is still in an embryonic stage when you consider awards programs that have been around for many decades. The difference from years past is a matter of refining the experience for the attendees and the sponsors. The goal is to get to a summit from which we can view the possibilities for the future. The primary focus is to celebrate the voice actors, content creators and the work they do. We want that to come through as loudly and powerfully as humanly possible. It’s not as if there’s a precedent specific to award programs for voice acting, so there’s a learning curve to negotiate and it’s steeper than one might think. There’s a lot of intangible value to uncover and to cultivate. What are this year's deadlines for entry fees? The final entry deadline is August 6th. We always get a lot of pressure to extend, but it comes down to giving the jurors enough time to review the work and giving the nominees enough time to make travel plans from all around the world. Any specific plans you can announce now regarding the Awards ceremony this November? 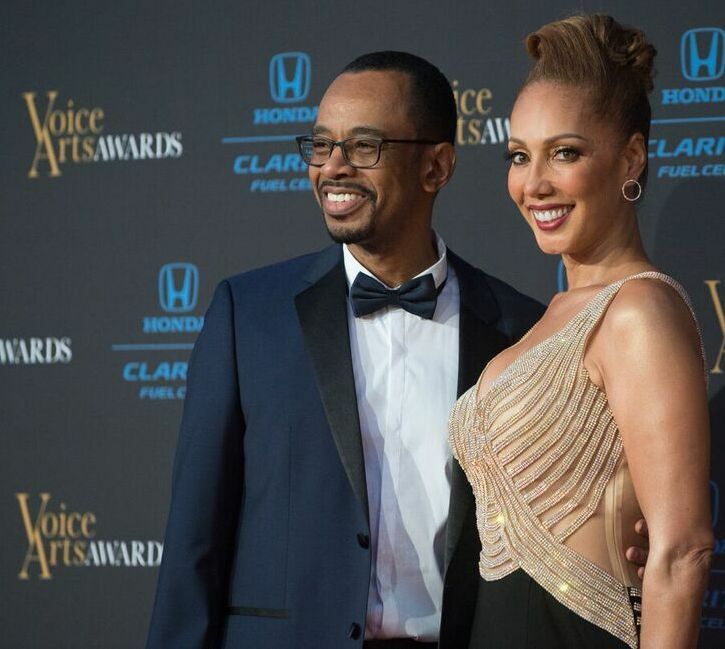 The Voice Arts® Awards will be held in New York on Sunday, November 5, 2017. As is our tradition, it will follow the day after the That’s Voiceover!™ Career Expo, which is a full-day, deep dive into the behind-the-scenes aspects of what it takes to create and sustain a voiceover career. That’s Voiceover™ provides unique ways to understand and experience the business and artistry of the industry in a way that attendees, no matter the skill level, get the necessary practical info to meet today’s trends and standards. And, we do it in a way that is highly informative and highly entertaining. After all, we’re dealing with actors and content creators – a generally self-expressed, creative group of type A personalities. The Voice Arts Awards will feature several special awards for world renowned talents, including documentary filmmaker, Ken Burns, who will receive the Muhamad Ali Voice of Humanity Honor for his extraordinary cannon of award-winning historical documentaries and his uncanny contribution as a director of voice acting. Burns's documentaries have been nominated for two Academy Awards and have won Emmy Awards, among other honors. For more about entering the 4th Annual Voice Arts Awards competition, click here. For more about the Society of Voice Arts and Sciences, please visit www.SOVAS.org.